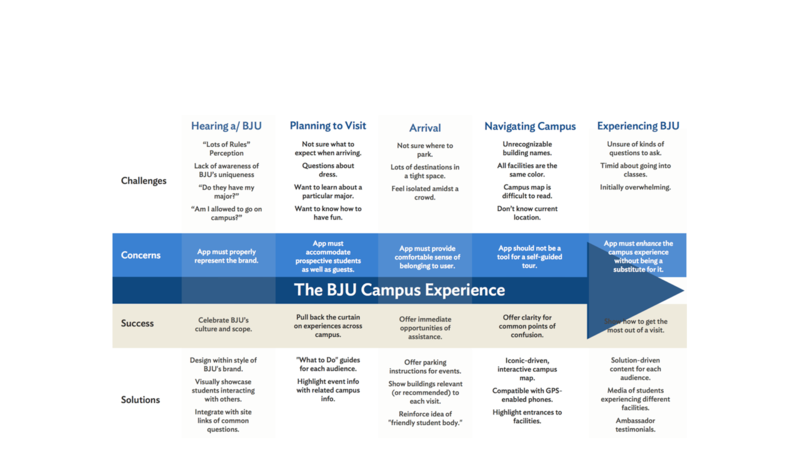 When Bob Jones University first approached us, they wanted an app for visitors; but didn’t know much more beyond that. 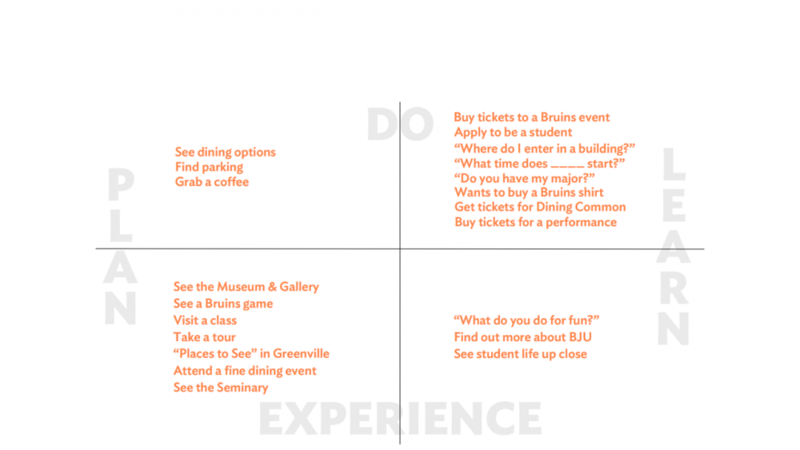 I dug in and began interviewing and surveying dozens of different types of audiences that might find themselves visiting the campus for various reasons. We created personas for each type of audience, and aggregated the data to create a number of visualizations to pinpoint content priority. 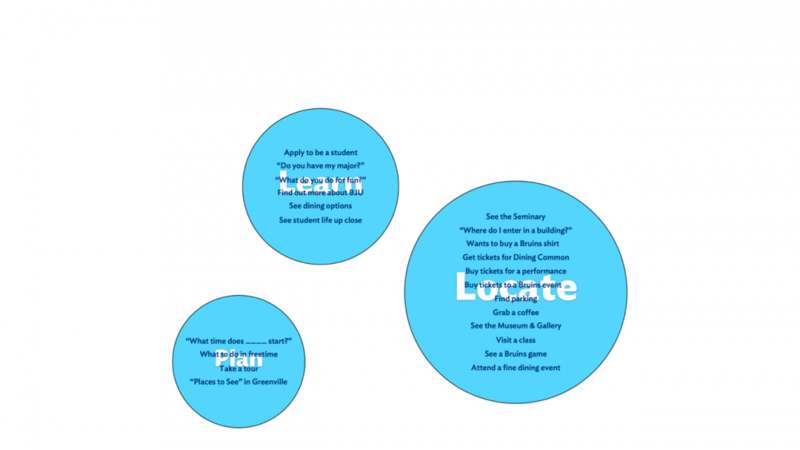 From there, we set out to great detailed annotations to wire-frames, as well as user-scenarios (how each audience might use the app) before sending it into design and development. Multiple rounds of QA were successfully completed before launch.